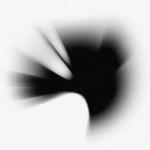 Titre(s) [A] thousand suns / Linkin Park, ens. voc. et instr. Editeur(s) Warner Bros. Records, 2010. Contient The requiem. - The radiance. - Burning in the skies. - Empty spaces. - When they come for me. - Robot boy. - Jordana del muerto. - Waiting for the end. - Blackout. - Wretches and kings. - Wisdom, justice, and love. - Iridescent. - Fallout. - The catalyst. - The messenger.